FRANKFURT (Reuters) - When business software company SAP announced in January it would lay off 4,400 staff, Chief Financial Officer Luka Mucic described the restructuring as a "fitness programme" for Europe's most valuable technology firm. But what some of the German company's customers didn't expect was that top software talent would be among those shipping out, rather than shaping up. Gone is Bjoern Goerke, chief technology officer and head of SAP's cloud platform business, along with programming gurus Thomas Jung and Rich Heilman - both highly respected in the wider SAP developer ecosystem. The departures underscore CEO Bill McDermott's determination to deliver on his long-stated ambition to drag SAP out of its comfort zone providing old-school enterprise software and complete its transformation into a digital platform business. The shift comes at the risk of alienating core clients, who still account for the bulk of SAP's business. "The existing business must be supported with the necessary know-how," said Marco Lenck, chairman of the German-speaking SAP User Group (DSAG) which represents 3,500 companies. "We are seeing that a lot of people with know-how are leaving the company. That's a trend that should not become too extensive." Nine years into McDermott's tenure, SAP's transition remains incomplete: Its legacy software licence and support business remains its cash cow, accounting for three-quarters of revenue and most of profits. However, it is stagnating. Its newer cloud operation is smaller and is growing quickly but, because it is subscription based, has thinner margins. McDermott, 57, has promised to treble the size of the cloud business by 2023, bringing total revenues at SAP to 35 billion euros(29.98 billion pounds), as it competes with the likes of Oracle and Salesforce.com. The latter is an all-cloud operation whose founder, Marc Benioff, wants to achieve sales of up to $28 billion in 2023 - in the same ballpark as SAP's own ambition. McDermott's $8 billion takeover in November of Qualtrics, a U.S. firm that tracks consumer sentiment online, showed he is ready, if necessary, to pay top dollar for the talent needed for SAP to thrive in the digital era. "We are a growth company," the New Yorker said when he announced the shake-up in January. He expects SAP's headcount - 96,500 at the end of last year - to exceed 100,000 by the end of this year as new hiring outpaces job cuts. Asked for follow-up comment, SAP said the restructuring "will allow us to invest in key growth areas while implementing required changes in other areas to ensure they are prepared for the future". For some, the plan is sound. "It's not about headcount reduction and savings, but talent re-alignment," said Holger Mueller, an SAP veteran and principal analyst at Constellation Research. But for fans in the SAP ecosystem that includes a wider community of developers and business consultants, the departures are unsettling. Dennis Howlett, a veteran consultant and co-founder of tech website Diginomica https://diginomica.com/saps-restructuring-hunger-games-game-of-thrones-or-both/amp, said SAP was letting go of "exceptional" talent to compensate for shortcomings in its own cloud strategy. "Bill McDermott says we are a growth company, but where is the growth coming from, Bill, apart from acquisitions?" Howlett asked. The trio, along with axed board member Bernd Leukert, were prime exponents of the in-house programming language that has for decades been the beating heart of SAP's range of enterprise software and database products. Their expertise helped the company, based in the small Rhineland town of Walldorf, grow into a $136 billion leader in applications - ranging from finance to supply-chain management - that can be variably configured to meet client needs. "The software is like Lego, with pieces you can put together to make your world," said Thorsten Franz, who runs an SAP consultancy in Germany and aired his concern about the layoffs on social media. "Apparently it was too good to last," he told Reuters. "Now SAP says: We don't like the house any more, so we are firing the architect and all the people working on it." Jung and Heilman, who announced their departures this month on Twitter, declined to comment to Reuters. Goerke, who is based in Palo Alto and is known for dressing up as Star Trek's Captain James T. Kirk at off-site events, could not be reached. His Twitter handle suggested he was taking a time-out, carrying updates with poetry and photos from his daily jogging outings. The restructuring sends a message to SAP's existing clients that they need to take seriously a 2025 'end of life' deadline for migrating users from legacy products to its latest, cloud-compatible S/4HANA platform. German users are pushing back: "We will fight to ensure that we continue to receive support after 2025," said Lenck of the DSAG. 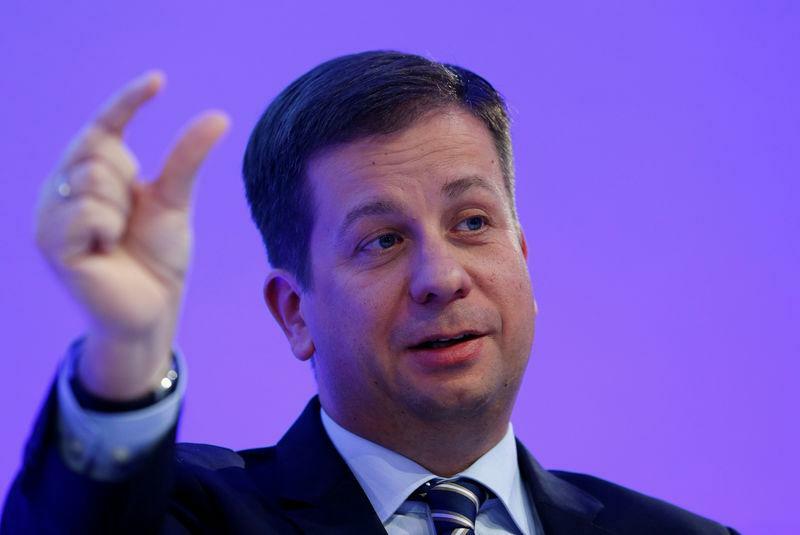 SAP says, meanwhile, that it still has to hold conversations with staff on its restructuring in Europe. These are expected in the second quarter. The company plans to offer a mix of early retirement and voluntary redundancy to staff.